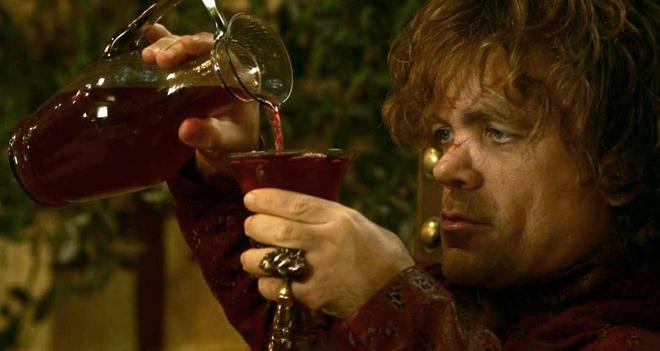 You can celebrate the drinking holiday like a true Lannister with these Game of Thrones beers and drinkware. It's International Beer Day, and to help mark the occasion HBO is promoting its collection of Game of Thrones themed goblets, steins, and tankards. Likewise, the company also offers a selection of beers inspired by the Seven Kingdoms from Brewery Ommegang. The network's drinkware is now on sale via the HBO Shop with items marked down as much as 30%. Highlights include Irone Throne and House Targaryen tankards, a House Stark Direwolf goblet, dragon egg shot glasses, and a map of Westeros stein. Meanwhile, Brewery Ommegang's Royal Reserve Collection features several limited beer releases designed and brewed in honor of key figures from the show. The first beer, Hand of the Queen, was released in April and is a barleywine. The Queen of the Seven Kingdoms sour blonde blend then followed in June. The next release will be Mother of Dragons, a smoked porter and Belgian kriek blend set to arrive in September. A fourth and final beer will also be announced later this year. Check out the company's beer finder to locate a retailer near you. The eighth and final season of Game of Thrones is expected to premiere during the first half of 2019. The season will consist of six episodes. In addition, HBO is also set produce a pilot for a potential spin-off series from George R.R. Martin and Jane Goldman. The show will be a prequel set eight thousand years before Game of Thrones. The first seven seasons of Game of Thrones are now available on Blu-ray. Likewise, the show's first season was also recently released on 4K Ultra HD Blu-ray.